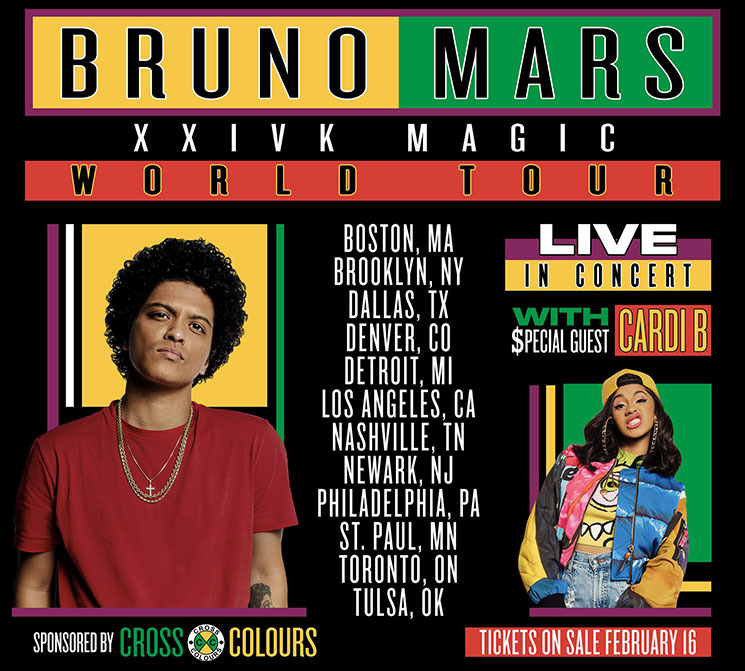 "I think I underestimated this whole mommy thing"
If you were hoping to catch new mom/rapper Cardi B on the upcoming "24K Magic World Tour" with Bruno Mars, you're out of luck. Cardi has just cancelled that upcoming trek. "I thought that after giving birth to my daughter that 6 weeks would be enough time for me to recover mentally and physically," she wrote in a tweet. "I also thought that I'd be able to bring her with me on tour, but I think I underestimated this whole mommy thing." As previously reported, Cardi previously cancelled her upcoming tour dates due to her pregnancy and was still expected to join Mars on their tour in September. However, that will now not be the case. As of press time, a new opening act for the tour has not been announced. You can find the full tour details — minus Cardi B — here.